Introducing nail colors inspired by the colorful beads and patterns in a kaleidoscope. 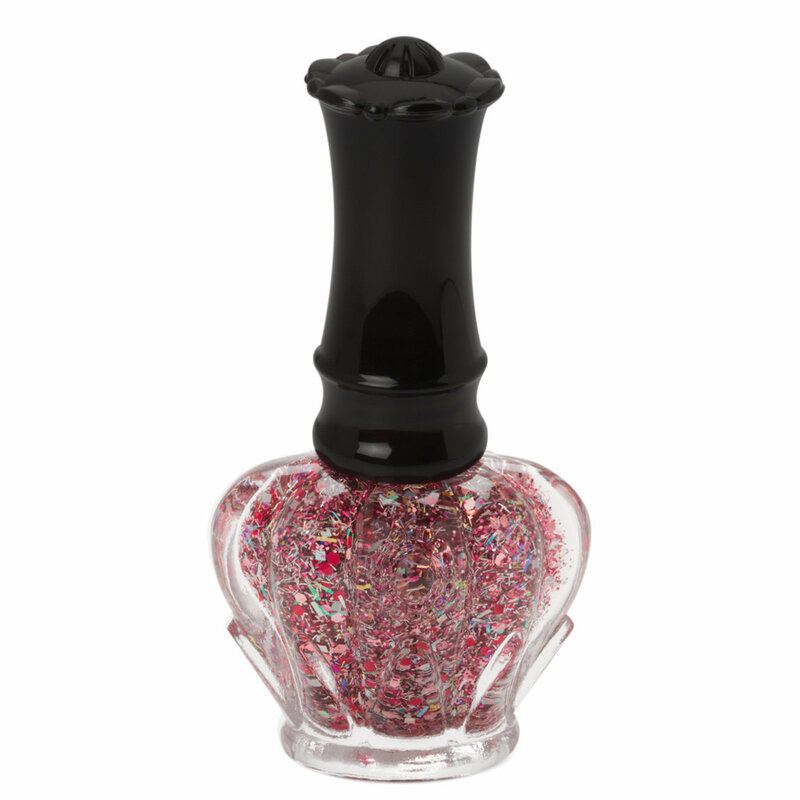 Bring luxurious glitter to your fingertips with these limited edition nail colors from the Anna Sui's holiday Kaleidoscope Land collection. Enjoy different lamé shapes and sizes to create unique and mysterious nail designs like no other. Take an appropriate amount onto nail brush then even apply over nails. Reccommeneded to be used with a base coat and Anna Sui's Quick Dry Coat.